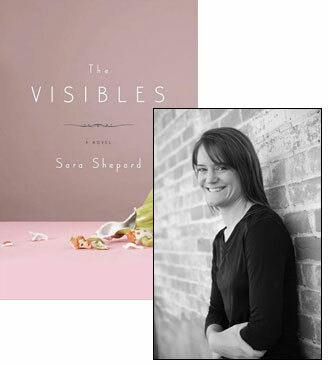 I’m still in the middle of—and very much admiring—The Visibles, the first “adult novel” by Sara Shepard, a writer who already has a strong track record with YA fiction. In fact, when I first approached her to write an essay for Beatrice, I suggested she discuss her transition from one market to the other—and though she gave that subject a go, what she ultimately found herself writing was something much more personal. Those who have read The Visibles often ask, “What inspired you to write this story?” It’s a fairly common question—I get it for my young adult novels as well—but this time around, it trips me up. The information I think a lot of people are looking for makes me uncomfortable. The Visibles is about a girl coming of age in Brooklyn and Western Pennsylvania, DNA, secrets, prejudice, cancer, and depression—and the depression part of the novel springs from incidents in my own life. But it’s not exactly something I want to get into. Fiction and memoir are two different things, obviously, but as a fiction writer, I can’t help but draw from what I’ve experienced firsthand. When reading someone else’s novel, I similarly wonder why the author chose to go in such-and-such direction, when there are so many avenues from which to choose: Is it because she’s drawing from her experiences? Did she have a husband who fathered a child with someone else? Did she have a wayward brother who’d been molested by a family friend? It’s not always the case, of course: I’ve written enough fantastical plotlines—in my young adult series, Pretty Little Liars, anything from student-teacher affairs, near-fatal blindings, hit-and-run accidents, and appearing and disappearing dead bodies prevail—to know that events need not happen to you for you to make them your own. You approximate, you empathize, you work the passage over and over until it feels right. The nut of The Visibles didn’t emerge from some sort of cosmic abyss in a bolt of blind inspiration, though—it emerged from a personal experience. Something I’m reluctant to talk about when someone asks me that question after they’ve read the novel. I was very close to it back when I was writing the first draft of The Visibles. Back then, the book was set in the Outer Banks of North Carolina, and Summer Davis, the main character, was in her thirties with two children, teaching biology and falling in love with an awkward but precocious student. Flashbacks to Summer’s previous life in New York, caring for her ailing father, kept poking their way in, invading each passage. The flashbacks, which related to my own life and were probably a therapeutic way by which to work it out, began to take over the novel, more or less stealing the show. I used up all my energy to write them; I took a week off work to pound out the flashback section so that I could be done with it and never return to it again. Following Summer’s flashback to its end was cathartic. I’d written it down; I’d gotten it out of my system. 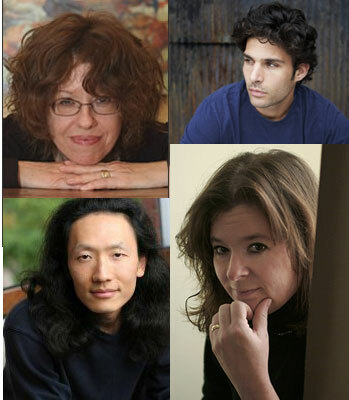 The theme of the evening is “literary novels with adolescent protagonists,” and while the authors read from their own work, the Bushwick Book Club will be paying tribute to other classics of the genre; think The Catcher in the Rye or The Member of the Wedding. (Or maybe not: I don’t actually know what books they’ve picked!) The Slipper Room is a great venue for this sort of event, and I hope you’ll come check us out!